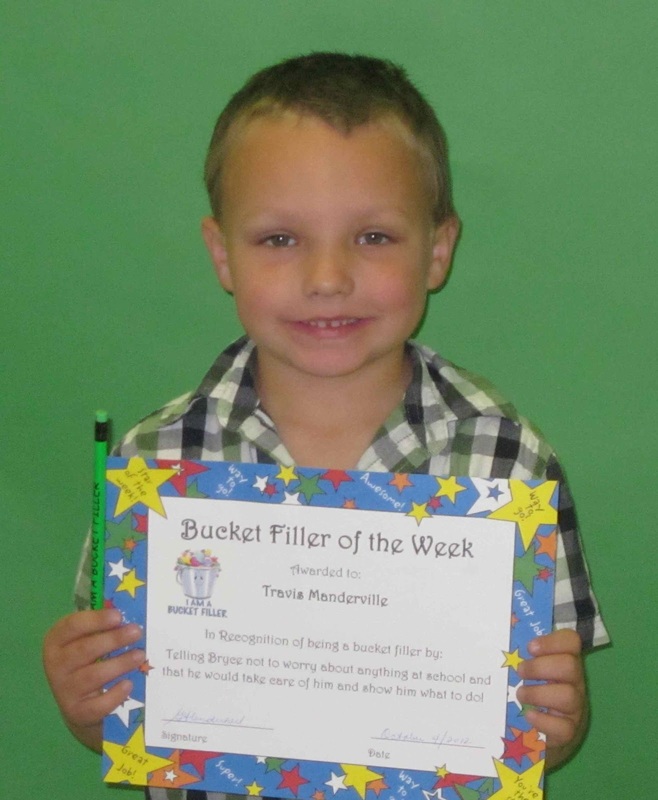 Kindergarten student Travis Manderville was selected as Bucket Filler of the Week (October 1-5) for telling fellow student Bruce not to worry about anything at school, and that he would take care of him and show him what to do. 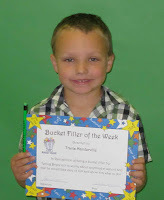 Congratulations goes out to Travis for not only filling his own bucket but someone else's too. Students from kindergarten to grade three can be awarded the Bucket Filler of the Week Award.